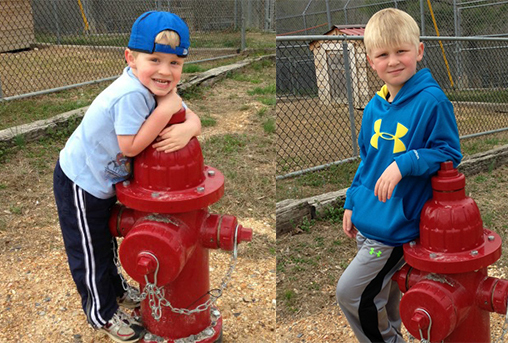 Trevor and Dylan Willett Pose for a Picture by a Fire Hydrant Made by Dad | McWane, Inc.
Posted on April 21, 2014, in In the Field and tagged Alabama, Anniston, Atalla, M&H Valve, Tigers for Tomorrow, Willett. Bookmark the permalink. Comments Off on Trevor and Dylan Willett Pose for a Picture by a Fire Hydrant Made by Dad.